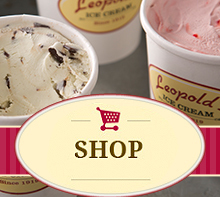 Leopold's Ice Cream / Scrapbook / From our team / So, “wassail” the fuss about? So, “wassail” the fuss about? The 12th night of Christmas – It’s more than just a Christmas carol or a play by William Shakespeare! The twelve nights of Christmas start on Christmas day and run through the 5th of January, all leading up to Epiphany on the 6th. Food and drink are the center of the celebration on the 12th night, when family and friends would gather together and toast to good health and a prosperous year with a traditional hot apple cider called “Wassail”. Hence the song “Here we come a wassailing”. So if you had ever wondered (As some of us at the shop had) just what the 12 days of Christmas were, and what exactly you had to do to “Come a wassailing”, now you know. Learn more at the links below, then gather with your friends and family at Leopold’s to enjoy our delicious, cozy version of Wassail, Mary’s own Hot Spiced Apple Cider.